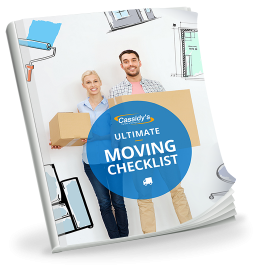 Whether you’re moving 100 miles or 10,000 miles, Cassidy’s will make sure everything arrives at your new home safely. We’ll even help you with international paperwork and get you ready for customs. Ask for your FREE moving estimate today – there’s no obligation. Cassidy’s will ensure your belongings get there whether you’re new home is in Canada, the US or somewhere else in the world. For moves across Canada, we partner with United Van Lines, a leading company since 1967. United Van Lines is Canada’s largest network of moving companies and the only Canadian van line that is 100% owned and operated by its members. Whether your possessions are loaded on a Cassidy’s truck or a truck owned by one of our fellow United members of United, you get the same high standards that have made United Van lines the leader among long distance movers. Understanding your responsibilities, documentation requirements and what to expect at Canada/US Customs is the key to a successful move. 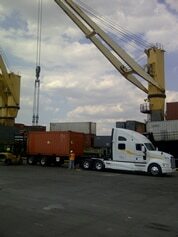 You want to avoid unnecessary delays and having your shipment being held up at the border. Your Cassidy’s Moving Consultant will provide you with all of the necessary Customs forms and guide you in completing them. Please take extra care to ensure that passports, birth certificates, photo ID and social insurance/security numbers for each family member crossing the border are up to date. Did you know that when you move from Canada to the US it is not necessary for you to be present when your goods cross the border? You must, however, enter the US and declare your residency before your shipment can cross the US border. Both countries have specific regulations regarding the items you can or can’t import and a list of items that are prohibited. Cassidy’s makes sure you have all the knowledge you need to make your move to the US easy and bother free. Moving overseas can be both intimidating and exciting. There is the prospect of seeing new places, becoming acquainted with people from different cultures, and learning customs different from those of your native country. Nevertheless, there are understandable anxieties particularly about the safe handling of your possessions. The key to an efficient international move is planning: taking the guesswork out of moving by reducing it to a series of manageable, scheduled events. Cassidy’s has over 100 years experience moving people. It is unlikely you are going somewhere we haven’t moved to already. With the help of our partners at United Van Lines, we’ll take the stress and worry out of international moving. We aim to take the stress out of your moving experience so that you can enjoy the adventure. There are 4 main reasons you should choose us for your long distance move. Don’t worry if you’ve never moved to another country before. Cassidy’s will make sure you know how it works and have all the paperwork necessary to make your move worry free. It all starts when you request your moving estimate. A professional Moving Consultant will come to your home and provide you with a detailed evaluation of your belongings, the services available to you and the costs involved. This evaluation is free and makes sure we can keep the final bill to within 10% of our estimate. We’ve been moving people and their precious possessions locally and around the world since 1908. We have the experience to know what to expect for different kinds of moves – whether it’s complicated international procedures or how to handle your delicate belongings. From our moving consultants to the team that loads your truck, Cassidy’s has been investing in people who know how to serve you better. You and your possessions will be treated with the kind of respect that we would want. We’re the long distance movers who care about making everything go smoothly. Need to know more? Contact us for more information on long distance moving.